The Battery Box is ideal for the collection, storage and transportation of batteries and is available in both 9 and 20 litre capacities. This tough and durable container has a snapfitting hinged lid with two clips to keep the lid secure. All boxes can be stacked for space efficient use. 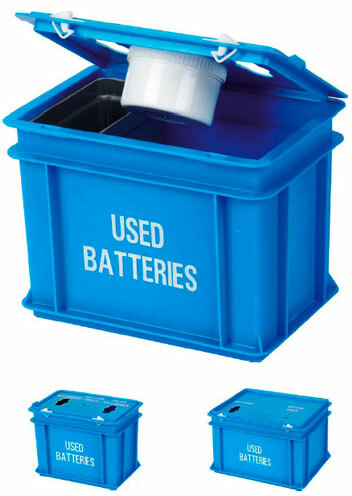 Both sizes of Battery Box can be supplied with either two or three apertures. Two apertures allows the separation of button cell batteries and the three compartment Battery Box features a NiCad battery aperture.